The VAWA is up for renewal and plans are already under way to strenghten it and add more insult to injury to half the victims of domestic violence. It is time to fight it now. Below are the names of the sponsors of this bill in both the Senate and Congress along with contact information for both houses. Contact your Senator and Congressman today to voice your disappointment that once again, men are forgotten and actually abused more by their actions. 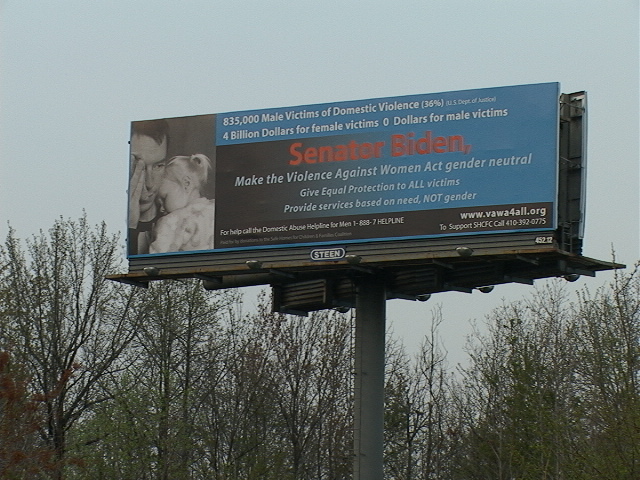 Please notice that the title is to prevent violence against women. There is NO mention about the violence done to men. Title: To prevent violence against women, and for other purposes. Latest Major Action: 2/25/1999 Referred to House subcommittee. Status: Referred to the Subcommittee on Crime. 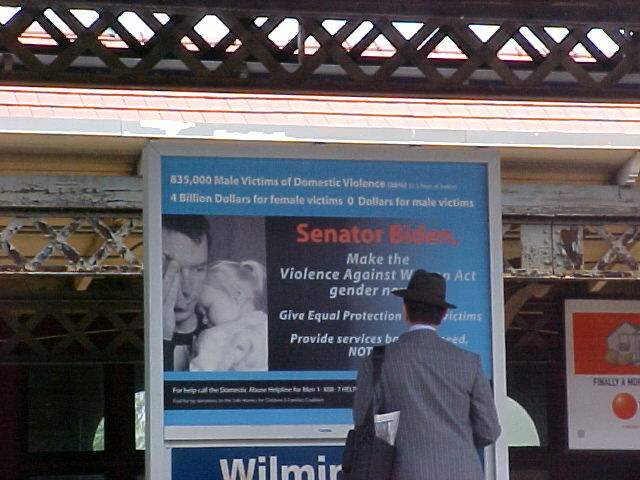 Title: A bill to reauthorize the Federal programs to prevent violence against women, and for other purposes. Latest Major Action: 7/12/2000 Placed on Senate Legislative Calendar under General Orders. Calendar No. 676.